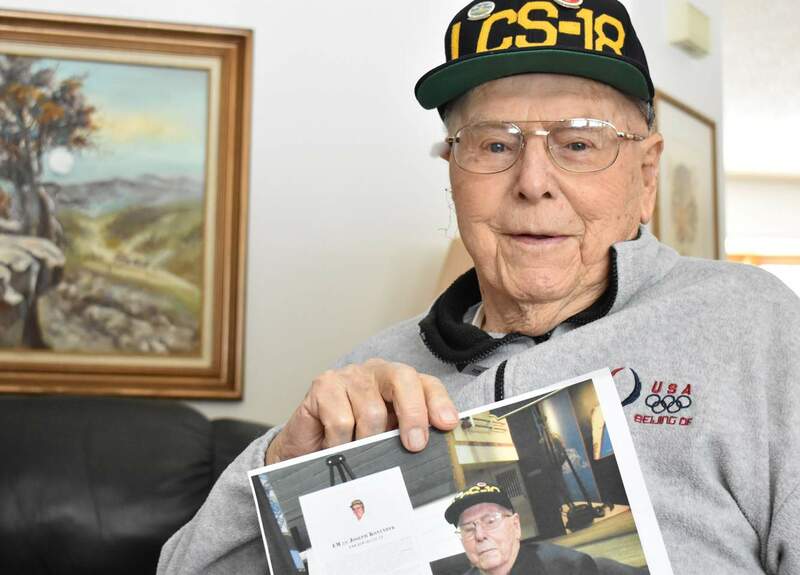 Mancos veteran Joseph Konyndyk, 93, is one of the last known living survivors who served aboard one of the ships in the Landing Craft Support fleet during World War II. Joseph Konyndyk was honored by the U.S. Navy for his service aboard LCS-18 at a ceremony in Washington, D.C., at the beginning of December. 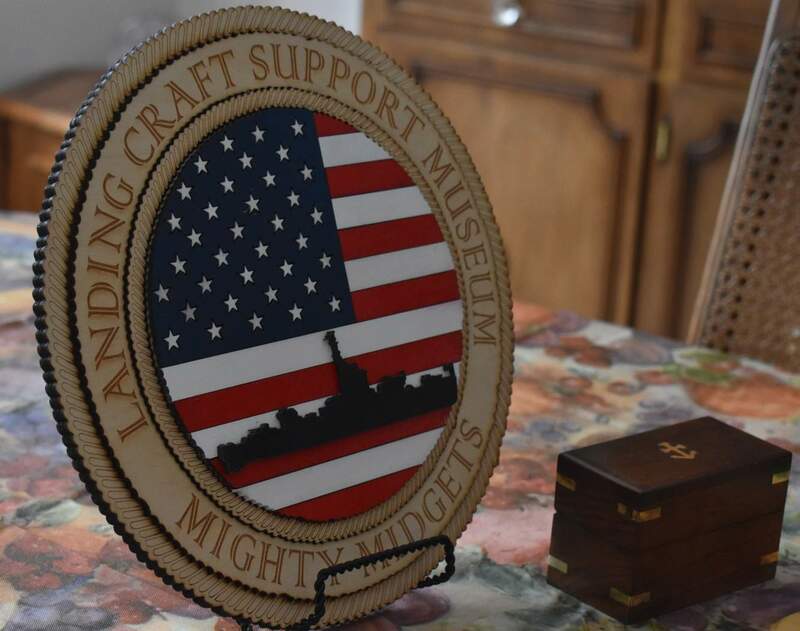 A plaque in Joseph Konyndyk’s home in Mancos commemorates his World War II ship. 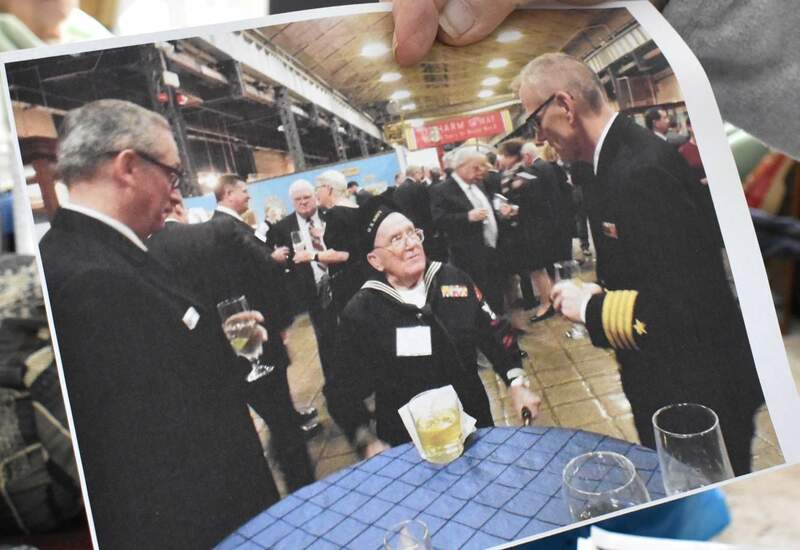 Also honored at the D.C. ceremony was Gilbert “Shorty” Nadeau, the other last known surviving veteran of the Landing Craft Support fleet of 130 ships. Joseph Konyndyk and his wife, Merna, celebrated their 72nd wedding anniversary in November. They now live just north of Summit Lake. 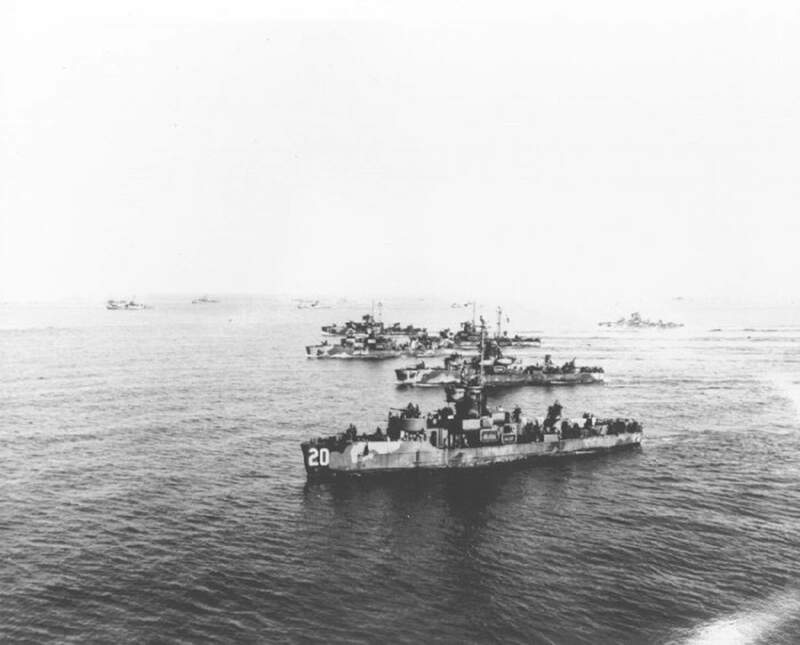 USS Landing Craft Support (Large) Group 8, which included Joseph Konyndyk’s ship, practices off Guadalcanal in early 1945. World War II may seem a distant memory relegated to history textbooks and stories of America’s Greatest Generation. 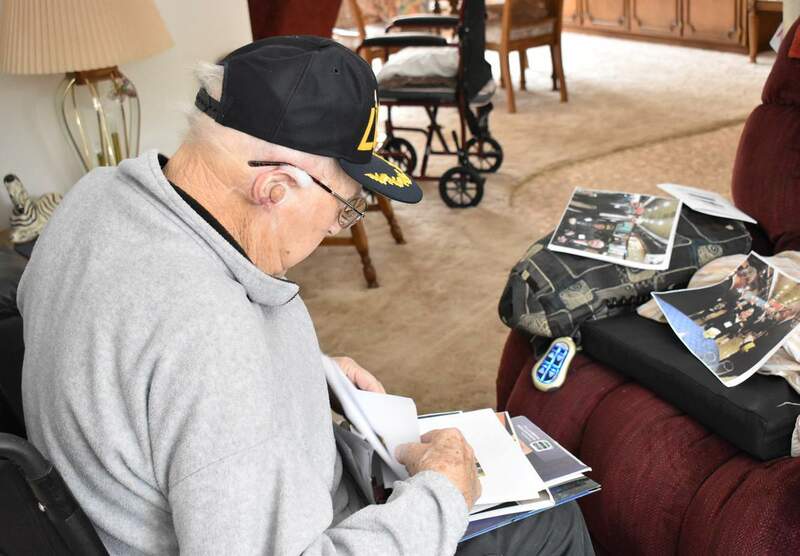 But the memory lives on in Montezuma County for 93-year-old veteran Joseph Konyndyk, who lives with his wife of 72 years just north of Summit Lake. Konyndyk served in the Navy from 1944 to 1946 as an electrician’s mate aboard USS Landing Craft Support (Large)-18, one ship in a fleet of 130 ships that provided fire support during the war. 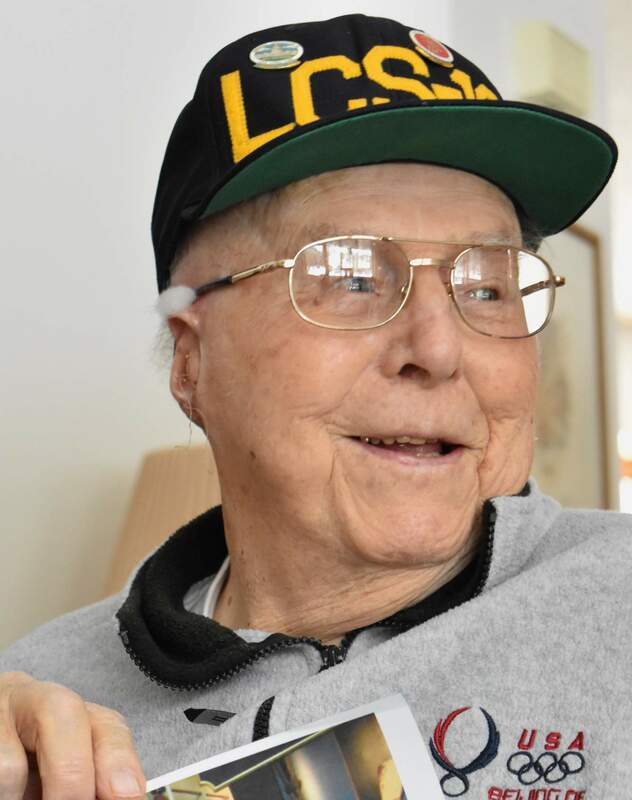 While WWII vets are becoming increasingly rare, former LCS members are even more scarce: Konyndyk is one of only two whom the Navy knows to be alive. In December, Konyndyk trekked to Washington, D.C., as he and a fellow survivor were honored for their service. The commemoration was especially significant for the Mancos veteran, as one of the sponsors was Christopher Lehman, the son of Konyndyk’s commanding officer during the war. Konyndyk was born in June 1925 in Michigan, where he grew up and volunteered for the war, he said. He was placed on the craft, which was commissioned in 1944 under the command of Lt. Junior Grade John F. Lehman Sr. – a “good captain,” Konyndyk said. The LCS fleet – nicknamed the “Mighty Midgets” – was designed to support amphibious landings. Before its production, larger ships would attack beaches and landing zones from afar, disrupting enemy defenses, before troops would head to shore on landing crafts. But before they could land, the opposition was able to reassemble and inflict serious damage on the approaching personnel. And so the LCS ship was born, a vessel that would protect forces heading to Pacific shores and armed with the heaviest firepower per ton in the Navy. Konyndyk’s 158-foot LCS-18 was aptly equipped with 11 gun mounts and 10 rocket launchers. Aboard ship, the crew ate dehydrated foods, eggs and potatoes in the form of large bags of powder and “a lot of sandwiches,” Konyndyk said. With 78 crew and officers aboard, the space could feel very small, and fights and disagreements often broke out. As an electrician’s mate, he maintained the ship’s generators. During combat, he served as a gunner, he said. LCS-18 saw plenty of action, Konyndyk said, but not as much as some of the larger ships at Okinawa. The height from which the Japanese kamikaze fighter planes dove made accuracy difficult, he said. The LCS ships gained special notoriety in April and June of 1945 during the Battle for Okinawa, one of the final battles of WWII and one of the deadliest. About 12,000 U.S. service members died in the island operation, according to the National WWII Museum in New Orleans. A placard posted at the December ceremony in Konyndyk’s honor recounted some of the ventures of the LCS-18. “The LCS 18 participated in combat landings on the shores of Okinawa as well as on Radar Picket duties in the waters off Okinawa, where she came under attacks by kamikaze aircraft and was credited with two confirmed shootdowns and one unconfirmed,” the account reads. On June 10, 1945, the USS Wiliam D. Porter was hit and sunk during a kamikaze attack. “LCS-18 went alongside the Porter on the port quarter fighting fires and rescued several officers and crew when the abandon ship order was given,” the placard goes on. When Konyndyk returned home, it was years before he would speak about his experiences. “I wouldn’t talk to my mother about it when I got home,” he said. Konyndyk started working in the glass industry back in Michigan, until he and his wife, Merna, moved to San Bernardino, California, where he worked for Arrowhead Glass Co. His wife had served the war effort, too, as a “Rosie the Riveter,” and the two met in their late teens while she was making amphibious landing craft for vehicles and personnel. They married before he departed for the South Pacific. He was with Arrowhead for 30 years, buying the company near the end of his time working there. 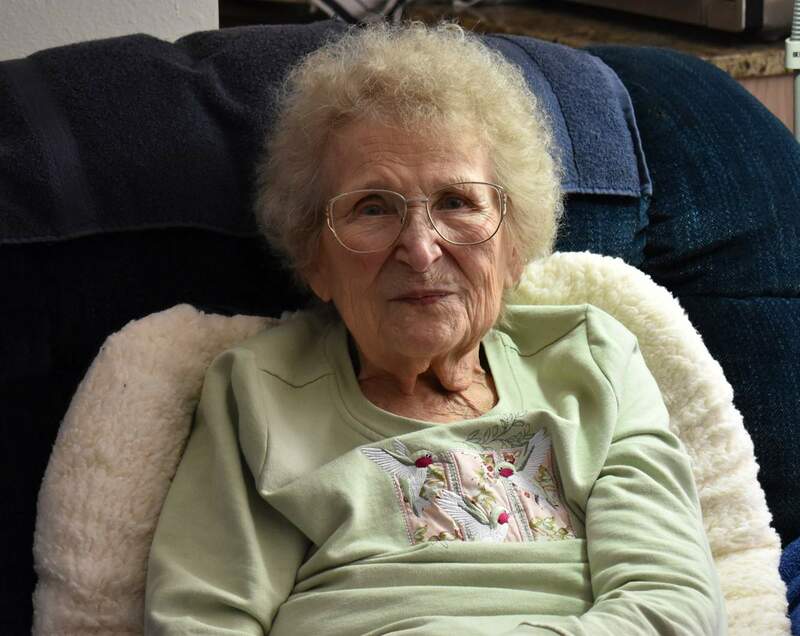 After retiring, the Konyndyks moved to Rico and then to Mancos around 1990, they said. In 1985, former shipmates from his LCS-18 reunited for a convention, and a year later, the National Association of USS LCS(L) 1-130 formed, with future conventions including veterans from all the ships. The Konyndyks forged a friendship with a half-dozen other convention-going couples, who decided to meet up every year at a set location around the states – even getting trapped at Yellowstone together on Sept. 11, 2001, when all national parks closed their doors during the Sept. 11 terrorist attack. Of this crew, they’re the only ones left, Merna said. Last year, Joe received a call from Christopher Lehman about the December ceremony, officially called the “Mighty Midgets at War, A Celebration of the 10,000 Sailors Who Served on LCS(L) Ships in the Pacific.” Hard of hearing and confined to a wheelchair since 2012, Konyndyk told Lehman that he couldn’t travel to Washington, D.C., for the event. “‘We’ll come and get you, then,’ he said,” Konyndyk recalled. Ultimately, with some cajoling, the Mancos veteran went, accompanied by an old friend and former neighbor, Don Hendricks. Hendricks’ own father had also served in the South Pacific during WWII and befriended Konyndyk. After the man died, Konyndyk had presented Hendricks with the traditional military flag during the funeral. The ceremony was attended by Richard Spencer, the current secretary of the Navy, along with a handful of admirals and Navy personnel past and present. The other veteran honored was Gilbert “Shorty” Nadeau. The only World War II LCS ship still afloat is the 102, according to the National Association of LCS(L)1-130. It is berthed in Vallejo, California, and has been converted into a museum. And what became of Konyndyk’s ship? Konyndyk’s ship was renamed the USS LSSL-18 and was loaned to Japan in 1953 and renamed JDS Yamayuri. It returned to the Navy and was awarded two battle stars for its World War II service in June 1958. In December 1958, it was given its final disposition – it was designated as a target and sunk by gunfire.